This article was published in the Summer 2010 Baseball Research Journal. In 1920 and 1927, Babe Ruth hit more home runs than every other team in the American League. On May 5, 1925, however, Ty Cobb put up power numbers that even the great Ruth couldn’t muster. Frustrated with the publicity Ruth’s slugging had garnered, Cobb commented to a reporter that hitting home runs was not as hard as it looked. He declared that he too would start trying to swing for the fences. 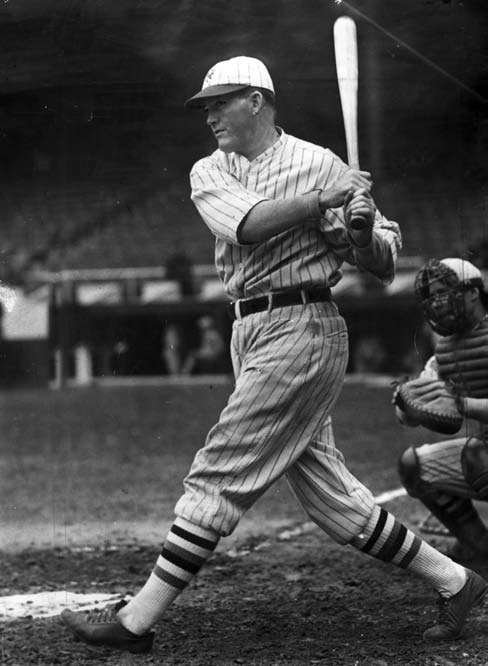 With a new mindset and a hands-together grip, Cobb went 6-for-6 that day, with two singles, a double, and three home runs, giving him sixteen total bases—still an American League record (shared with several others) for a nine-inning game.1 The next day, Cobb hit two more home runs, totaling five in two days—still a major-league record. Satisfied he had proved his point, Cobb returned to his familiar grip and style: trying to get base hits instead of hit home runs. Ruth and Cobb are both in the Hall of Fame, but each hitter excelled in his own way. Indeed, every batter has unique psychological approaches, swing mechanics, habits, and characteristics. Even so, one thing about hitting is true for every hitter: Every time he walks up to the plate, he has only one tool to work with. Skillful use of this tool, the baseball bat, has captured the attention of fans, tried the patience of athletes, and turned men into legends. Baseball as played today emerged from a cauldron of other games. In the late nineteenth century, the rules changed often, contributing to a seesaw dynamic within the game. For a few years, batters would have the edge and pitchers would be disadvantaged; subsequent rule changes would turn the tables. Exploited rules (and inherent advantages) disappeared quickly, leaving rules that maintained a good balance of offense and defense. Around 1900, rules about the bat had evolved that were simultaneously simple and thorough. In the decades since, bat-specific rules have remained relatively unchanged. The bats themselves, however, are a different story. One important rule change in the early turbulent years came about in 1887: Batters could no longer request a high or low pitch. If the pitcher’s throw passed over the plate and between the shoulders and knees, it was called a strike. Thus the adversarial approach to pitching—planted by Jim Creighton in 1859—fully bloomed. Instead of trying to help the hitter, pitchers had a new objective. The goal of all pitchers became what Casey Stengel once said of Satchel Paige: “He threw the ball as far from the bat and as close to the plate as possible.” Pitchers began experimenting with various deliveries and grips. The spitball became a part of nearly every pitcher’s arsenal. As pitchers experimented with the ball, hitters responded by experimenting with the bat. Indeed, as the sport evolved, the bat changed significantly—in shape, size, and material—as batters sought a competitive advantage. Examining the history and underlying science will allow us to gauge the success of these experiments. During baseball’s fledging years, there were no bat manufacturers. Each player made his own, often starting with an axe handle or wagon tongue and shaping it to his liking using hand tools. Through trial and error, hickory wood was found to be successful. It was hard and resilient, so players rarely needed to replace bats. But as the game became more sophisticated, so did bat making. In 1884, a boy watched the slumping local star Pete “Gladiator” Browning break his bat. After the game, the boy offered to make Browning a new one using his father’s woodworking lathe; the two worked through the night on a piece of northern white ash. The next day, Browning’s three hits provoked inquiries about his new bat. As the years went on, ash wood became very popular with players. So did that boy and his father. That is how Hillerich and Bradsby, the manufacturer of the popular Louisville Slugger line of baseball bats, got their start. A trend had begun. Instead of making their bats, more and more players in the 1880s began purchasing bats that were professionally lathed. Experiments were not restricted to trying out different types of material. Briefly popular, flat bats fell into obscurity as longer bats with slight tapers and knobs at the handle became prevalent. Players continued to tweak the weight distribution and barrel and handle diameters, but, for the most part, bats used after 1900 look remarkably similar to each other. However, creativity was not totally suppressed—experiments that deviated from the norm found their way into the batter’s box and the patent office. To understand the experiments on bats, we must understand the goal of the batter. If Stengel’s words best sum up the efforts of the pitcher, the objective of the hitter was best summarized by Wee Willie Keeler’s “Hit ’em where they ain’t.” In Keeler’s playing days (1892–1910), hitters followed his guiding wisdom by playing what has been called the “scientific game.” The scientific game involved a heavily strategic approach to baseball. Runs were scored via bunts, hit and runs, and stolen bases. Batters choked up and slapped at the ball, placing hits between infielders or just over their heads. Slugging—swinging mightily— was a frowned-on approach. The appeal of the tactics employed by adherents of the scientific game is understandable when you consider the game’s origins. Making contact was important because, in the sport’s infancy, the development of the bat far outpaced the development of gloves. Since gloves were deemed unmanly, they were often not used, and errors were common. Even if a batter did hit the ball in the proximity of a fielder, he still might reach base on an error. Also contributing to the allure of the scientific game was an English game that heavily influenced baseball: cricket. In cricket, batsmen may get only one turn to bat per match, so the ability to place hits (and avoid being put out) is important. The first baseball players took this idea of guiding their hits and brought it to the diamond. And so experimentation with bats in the early days of baseball was steered by this “small ball” approach— the goal of experiments was to help players place their hits. Many players, most notably Ty Cobb, adopted a split-hands grip, hoping to increase their bat control. But bat manufacturers sought to improve the tool itself by making a bat that was easier to swing. Manufacturers tried unconventional shapes; many bats that hit the market looked familiar to us from the knob up but had baseball-sized chunks of wood connected below the knob. In advertisements from this era it was explained that the chunks were intended to give the bat a more even weight distribution. In other words, manufacturers were hoping to alter the moment of inertia of the bat. Moment of inertia (MOI) is an object’s resistance to rotation. It relates both to how the weight is distributed throughout the object and where the point of rotation is located. MOI is a value, just like weight is. And just as a heavier object will be harder to lift, an object with a higher MOI will be harder to swing. Two bats can have the same static weight, but if their shapes are different they may have different MOI and different swing weights. Even though bats are described in terms of length and weight, fans and players alike know that these values alone do not tell the whole story; a bat feels “heavier” when swung while holding the handle versus when held around the barrel. In reality, however, the bat’s weight is remaining the same—it is the moment of inertia that is changing. The lemon-, ball-, and mushroom-knobbed bats used in the Deadball Era were all successful in lowering the MOI when compared with similarly weighted bats shaped like those used today. So these bats felt lighter when swung and gave a player more bat control than if he used a similarly weighted bat of twenty-first-century shape. However, a decrease in MOI means a less efficient collision between the bat and ball. And so these bats, perfectly suited for the scientific game, have fallen out of favor for the same reason Ty Cobb’s split-hands grip has: More bat control means less power. Another variation on the bat’s geometry was that of Napoleon Lajoie’s bat, which had two knobs, the higher one being called the shoulder. The shoulder was a few inches up the handle and was for the batter’s bottom hand, if he was choking up, or for his top hand, if he was swinging normally. This bat, named for Lajoie, drew a lot of attention. Many players tried it, hoping to emulate Lajoie, one of the outstanding hitters of his day (and of baseball history, for that matter). A third oddly shaped bat was patented in 1906 by inventor Emile Kinst. His patent drawings more closely resemble a jai alai stick than a baseball bat. In his patent (US0838257), Kinst claimed his bat had two unique features. The first was the shape of the barrel: When viewed from the side, it traced not a line but an arc. He hoped that the curved barrel would allow the hitter to spray the ball to all parts of the field and that it would impart spin to the ball, making it harder to field. A player who mastered the use of this bat would be very hard to defend. The second curious trait was the series of longitudinal grooves in the front of the curved barrel. Their purpose was to aid the hitter in hitting sharp line drives, avoiding foul tips and fly balls. Both of these traits, the bat’s tendency to give spin to batted balls and to induce them to take the form of line drives, fit directly with the objective of the scientific game. Notice the goal of the dog-leg bat was to increase the power, not the placement of the hit. Bats invented before 1920 all tried to help the hitter play the scientific game. Whether by a change in the weight distribution, the addition of a knob, or an alteration of the shape, all were designed to give the batter more control over where he hit the baseball. 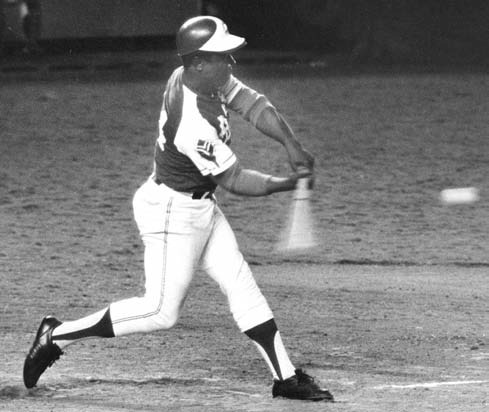 This dog-leg handled bat is just one example of the many modifications that in the 1970s, ’80s, and ’90s were made to help the player hit the ball hard. And so, while Emile Kinst’s idea of a curved bat would be imitated more than half a century later, the reasons behind his design were entirely different. Clearly, between the early 1910s and the 1970s there was a change in the goal of design improvements. If the experiments in the later twentieth century were focused on a player’s ability to hit the ball far and hard instead of placing it carefully between the shortstop and third baseman, something must have changed. A new objective of experiments in bats suggests a change, in the approach to hitting, from what had been around for over half a century—since the beginning of baseball no less. What could bring about so monumental a shift? It would take only 54 swings by one man to forever change the game. Remember, Babe Ruth and Ty Cobb disagreed sharply on this very issue: Is hitting scientifically better than slugging? As it turned out, Cobb was the last of one era, Ruth the first of another. For decades, hitters had been playing the scientific game, but this low-scoring approach went out the window when the Babe was up. Setting incredibly lofty single-season home run records, he swung for the fences every time. Players, seasoned fans, and team owners familiar with the entrenched style thought Ruth’s approach was an indecent way to play the game. However, in the years immediately following the First World War, the public’s appetite for entertainment was renewed, which Ruth provided, appealing to a new type of fan and a broader audience. A bright spot after the disillusionment bred by the Black Sox scandal, he became one of the first national celebrities; as his popularity rose, so did attendance figures. Old-school players were frustrated. As a proponent of the scientific game, Cobb had always looked down on Ruth’s approach, but his style of chopping at the baseball was falling out of fashion. Ruth succeeded in changing what had been the norm for eighty years. Though still trying to “hit it where they ain’t,” he and his successors attempted to do this in a different way. On the whole, hitting the ball sharply gives defenders less chance to field it and, moreover, increases the odds it will fly over the fence. Hitting the ball hard became the new objective. If players wanted to focus their experiments on one particular variable, perhaps the best metric of a hitter’s ability to hit the ball hard is batted-ball speed (BBS). The question for athletes and inventors then becomes what variables can be tweaked to help a player hit the ball hard—to increase BBS? To increase BBS, vb initial could be increased. Baseball players have long supported this conclusion: If the pitcher is throwing harder, the batter will hit it harder. However, this insight is not always helpful to the hitter—the only values under his control belong to the bat: vB initial and mB. When we focus on these values, further analysis shows that since vB initial > vB final >0 (the bat slows down after contact, but does not change direction) the ratio of mB / mb will be multiplied by a m/m positive constant. So this ratio needs to be as large as possible, and so the numerator needs to increase. Therefore, we see that a heavier bat will hit the ball harder. While equation 2 helps our understanding, incorrect conclusions can be drawn if we just stopped there. For instance, if vb initial were increased by any amount, it appears that vb final would be increased by an identical amount. That would be incorrect, because a harder-thrown pitch will result in a slower bat after contact. We still have vB final in our equation, and, in order to get a complete picture, we need to get rid of it. Besides, when was the last time you heard someone talk about the bat’s speed after collision? We need a way to eliminate that variable. The answer is the coefficient of restitution (COR). If we look closely at this equation, we see that, if we increase vB initial then we will have a larger numerator, as both the second term and the third term will increase. And so a faster bat will result in a higher BBS. What is curious about the heavier-versus-faster predicament is that these traits are mutually exclusive. If we assume the bats are similarly shaped, a heavier bat is necessarily swung slower, not faster. So which is more important, weight or speed? THE SCIENCE BEHIND THE “UNSCIENTIFIC” GAME—WHAT MATTERS MORE, WEIGHT OR SPEED? Ideally, a player would swing the heaviest stick with the greatest speed, but the ideal is impossible, so players face a difficult tradeoff. The correlation between the bat’s characteristics (weight and speed) and the player’s performance (BBS) intrigues scientists and batters alike. Bat speed matters more than bat mass, according to Daniel Russell of Kettering University.4 In one of the studies he cites, experimenters, using BBS as the guiding metric, recorded the ball velocity resulting from different swings of different bats. Bats of increasing weight were swung at a constant speed. Other factors (like ball velocity and ball mass) were kept constant. Obviously, the largest bat resulted in the highest BBS. (It had the largest initial momentum.) Then bats of the same weight were swung at increasing speeds. Again, other factors were kept constant. Again, the results proved intuitive: The faster bat resulted in the highest BBS. The interesting thing was that a change in bat speed resulted in a higher BBS than a proportionally equal change in bat weight. So an incremental change in bat speed would give a player a higher BBS than would an incremental change in mass. In practice, though increasing the mass of the bat is not the scientifically optimal choice, it’s the easier alternative. It’s easy enough to grab a heavier bat but not so easy to just swing harder—players often swing as hard as they can anyway. That bat speed matters more than bat weight was certainly not intuitive to players in Ruth’s era. 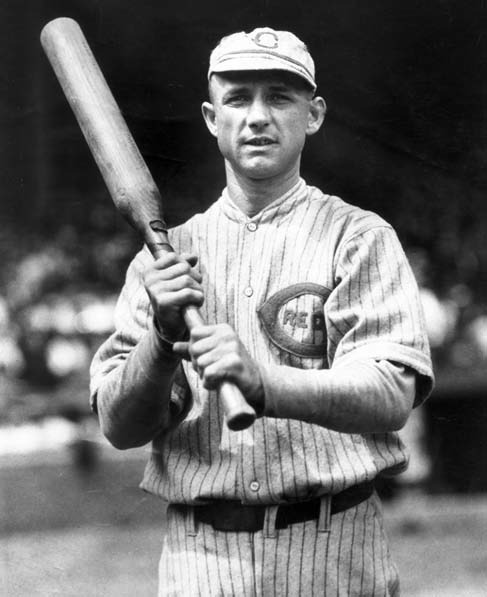 Players in the late 1920s and ’30s actually pounded nails or needles into the barrel of their bats to make them heavier. They intuited (correctly) that a heavier bat would hit the ball farther, and they concluded (incorrectly) that the heavier, the better. And so we hear tales of 45-ounce clubs being wielded in the batter’s box. Today’s players seem to understand the importance of bat speed. So what—or, rather, who—was the reason for the shift from emphasis on weight to emphasis on speed? Supposedly baseball players are great experimentalists, so how did such a fact stay undiscovered for decades? The origins of recognizing bat speed as more important than bat mass are difficult to pin down; the shift to lighter bats was gradual and not marked by any one specific event or person. However, Ted Williams reports in his book, The Science of Hitting, that he began using a light bat during the 1938 season. He used a 35-ounce bat in the minor leagues for a while before borrowing a teammate’s lighter bat and, to his surprise, hit a home run with just a flick of his wrists. From then on Williams used a 33-ounce bat. In his book he remembered that players using smaller bats created a stir in the 1950s, but he claimed to have been using one for years. In Keep Your Eye on the Ball, Robert Watts and Terry Bahill help explain both why Ruth and others were using such heavy bats (though with success) and why a lighter bat might have been better.5 In the 1990s Watts and Bahill devised a test in which they tried to find the best bat weight for a player to use. They had a player swing bats of different weights. They measured the swing speed and calculated what the ball’s exit speed, or BBS, would be. As expected, the faster swings were with lighter bats, slower swings with heavier bats. Also as expected, there was a bat weight at which an extra ounce meant the ball’s exit speed would decrease. Watts and Bahill realized that there might be a difference between an optimum bat weight and an ideal bat weight. While an optimum bat weight would enable a hitter to create the highest BBS, a bat lighter than that would allow the hitter more time to see the pitch, would give him more bat control, and would enable him to make good contact more frequently. They suggest that the ideal weight would be one in which the player has good bat control and can wait longer before swinging. They suggest a weight that is 1 percent below the maximum BBS value. The swing speed would be much higher and therefore the frequency of well-struck balls would outweigh the slight dip in power. Their results suggest that the difference between optimum weight and ideal weight is approximately equal to the difference in the weights of the bats used by Ruth and by Williams respectively. Focusing on the idea that more weight would help him hit the ball farther, Ruth kept traveling along the curve until he reached a fall-off point. It is likely, then, that Ruth would not necessarily be able to hit the ball any harder (or farther) by using a bat that was slightly lighter or slightly heavier. However, pitch velocities have risen since 1930, so that the importance of bat speed has increased. Over time, players have favored increased bat speeds and lighter bats even at the cost—albeit diminutive—of BBS. As bat speed has become more important, many alterations to the shape used by Ruth and Williams have been suggested, from dimpled barrels to bent and V-shaped handles. Patenting his idea in 1994 (US5284332), MIT professor Jeff DiTullio believed that adding dimples to the barrel would increase a player’s bat speed by reducing drag.6 A dimpled barrel experiences less drag because the dimples stir up the air around the bat, causing it to flow through more turbulent air, reducing the drag coefficient. DiTullio tested his dimpled bat and found that he could increase the swing speed by about 3 to 5 percent—enough to turn a fly ball caught on the warning track into a home run.7 However, bats used in MLB games must be “smooth” (Rule 1.10a), so it’s unlikely that DiTullio’s idea will be applied in professional ball. Another bat redesign intended to increase a batter’s power has already been mentioned: the dogleg-handled bat. By the 1980s, the idea of a dog-leg handle had migrated into aluminum softball bats. In 1982, Esther Moe completed her master’s thesis in which she compared the ball-exit velocity off the two differently handled softball bats—one “normal”-handled bat and the other with a handle angle of 19 degrees.8 She found that, despite the psychological appeal of a newer technology, the different handle shape did not help the performances of the players. While these two bats are some of the many that are disallowed by MLB rules, there have been experiments on bat shapes whose permissibility is only questionable. Some players shave down the handles of their bats. Most are simply trying to change the diameter so that it feels right in their hands when they swing. In the 1980s and ’90s, Don Mattingly went so far as to change the shape of his handle so that it was no longer cylindrical. He believed his bat speed would improve if he held the bat in his fingers, not his palms. He found that a rounded, triangular-type handle would help the bat sit well in his hands and keep his fingers aligned throughout his swing. Mattingly’s name now appears on a line of V-handled bats promising to help players hit the ball farther. Alongside experiments on the shape of the bat have been experiments on its material. For the last quarter century, amateur players have been able to use metal bats in games. The idea was around as early as 1924,9 but metal bats did not come into common use until the 1970s. Originally, metal bats were used because they were more durable. However, performance quickly became the main reason for their use. Indeed, metal bats are quite an upgrade from wooden ones. Like Daniel Russell, Alan Nathan maintains a website where he looks at, among other things, the science of baseball. Both Russell and Nathan explain many of the advantages metal has over wood.10 They explain the efficiency of the bat-ball collision based on hoop and linear oscillatory modes, describe a few different ways to define the “sweet spot” of a bat, and show why certain safety measures need to be taken. They were involved in helping the NCAA regulate their bats, looking at both the ball-exit speed ratio (BESR) requirement and the MOI monitoring. However, while the history and science of metal bats is interesting, I will leave it for another to fully explore and explain. I will limit my examination of differences in materials to a look at different types of wood. Even though different woods have different characteristics, the type of material used by players had remained remarkably consistent for more than a century. Ever since Pete Browning swung his in 1884, Louisville Slugger has made bats out of ash, specifically northern white ash. As recently as 2000 it was generally accepted that professional ballplayers used ash bats. Today, though, many players are using sugar (rock) maple. After ash dominated the market for so long, why the sudden change? Interestingly, it was another single-season home-run king who was responsible for altering a convention that had prevailed among hitters for a century. In 1998, Sammy Sosa and Mark McGwire were locked in a home-run race to see who could break Roger Maris’s 37-year-old single-season home-run record. Looking more like bodybuilders than typical baseball players, they slugged it out, drawing fans and media adulation. That year McGwire did succeed in setting a new record, but his reign on top was brief; baseball waited only three years before another single-season home-run record was established. Besides uncannily quick hands, a nearly inhuman plate discipline, and the plausible assistance of undocumented and possibly unsafe levels of chemicals coursing through his body, to what could Barry Bonds attribute his record 73 home runs in 2001? The bat of the new home-run king was a maple, and Bonds credited it with giving him “a lot of confidence.”11 Reports vary as to when maple bats were first used in an MLB regular-season game, but they all agree that, before 1996, no player had ever used one. 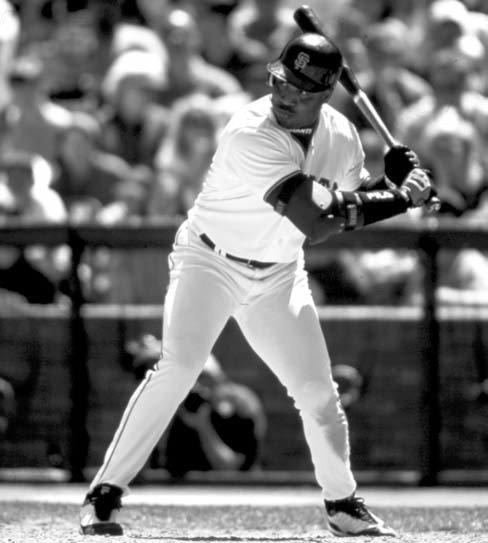 Before Bonds’s monster season, few players had ever used a maple, let alone on a regular basis. Yet only seven years after the record-setting season, about half the bats in the major leagues were maple. Manufacturers claim maple has two advantages over ash. The first is that maple bats help a player increase his BBS. The second is that maple bats last longer. One obvious place to look for evidence that these bats help players hit balls farther would be offensive statistics. With 50 percent of players using maple, offensive statistics should have increased. Benjamin G. Rader and Kenneth J. Winkle studied the 1990s hitting barrage.12 They discovered that hitting peaked in 2000 and that seasons that spanned 2001 to 2007 saw a “new equilibrium” of offensive statistics. They found that when maple bats started becoming more popular, the offensive numbers actually decreased. However, they caution that maple was not an isolated variable. In fact, offensive numbers have declined over the past decade primarily because of the changing strike zone, the banning of certain substances, and the institution of drug-testing programs. It’s possible that maple bats help hitters but that the positive effect has been outweighed by expansion of the strike zone and restrictions on drug use. Rader and Winkle acknowledge the effect of such institutional changes and think their findings are indicative of them, not of wood type. Although it’s difficult to determine from offensive statistics, ash and maple indeed have unique performance characteristics. Uniqueness does not imply superiority, however—one does not necessarily have an advantage over the other. After all, McGwire used an ash bat when he hit 70. If statistics will not suffice, perhaps a scientific examination of each material will aid in the understanding of the distinct characteristics of each type of wood and how each is suited for use in major-league games. Static bending relates to the stiffness of the bat and is commonly referred to as Young’s modulus. Having a lower value, an ash bat will bend more on impact with a ball than a maple one will. Players notice the inherent give to an ash bat and that the connection with a maple bat feels more solid. Some hitters have commented that they like maple because they don’t have to compensate for this give; others prefer the flex of an ash bat. The stiffness of the bat also determines how the bat vibrates when struck by a ball. These vibrations are what contribute to a stinging sensation when the ball is hit poorly and a solid feeling when contact is made on the bat’s sweet spot, giving further credence to players’ subjective evaluation of the different merits of ash and maple. It’s interesting to compare Young’s modulus with the “height of drop causing failure” test. This test is exactly what it sounds like: A hammer is dropped on a wood sample from increasing heights until the wood breaks. From Young’s modulus, we know that ash is more flexible; from the “height of drop causing failure” test, which is a measure of impact bending, we see that ash will also withstand a greater force from a hammer. So, compared to ash, a maple bat, which is stiffer, will, with its thinner handle and lower impact bending value, be more likely to snap at the handle. However, an ash bat is more likely to split down the barrel, as it has lower shear strength parallel to the grain. There is an important difference in the ways these two bats tend to break: A splitting bat poses significantly less danger to spectators than does a snapped bat. A split bat usually stays in one piece, whereas one that snaps leaves the batter holding only the bottom six inches while the barrel goes flying away. In the summer of 2008, a player, a fan, and an umpire were all injured by a flying barrel. As the use of maple has risen, so have safety concerns. Prompted by the rise in broken bats, Commissioner Bud Selig assembled a team of experts to study the issue. Over a two-month period in 2008, the committee collected and examined more than 2,200 broken bats. Chief among their discoveries was that manufacturers were making bats with a poor slope of grain. Slope of grain is essentially a measure of how parallel the bat would be to the tree it came from. If a bat breaks at the handle and there is a smooth ellipseshaped break—almost as if someone had cut through the bat with a knife—that is an example of a break due to poor slope of grain. The steeper the angle of that oval, the less strength the bat had. Bats used during the 2008 season had as much as a 14-degree angle, which means they were at only 25 percent of the possible strength. MLB now enforces regulations on this issue, but some manufacturers have simply opted to stop selling maple bats entirely. In addition to considering rules for minimum handle thickness and proposing regulations regarding the slope of the grain, the MLB committee defied conventional wisdom and asked manufacturers to reposition the label on maple bats. From childhood, players are taught to swing with the label directly up (or down) in order to hit with the edge grain of the bat. With the label on the edge grain of a maple bat, the players still hit with the label in the same orientation, but they make contact with the face grain instead. The committee recommended this change because the face grain has a higher impact bending strength, which means it can withstand a higher hammer drop. So the bat is stronger with the face grain hitting the ball. The recommendation of the committee gives the player a tougher side of the bat to use, and so the bat will be less likely to snap when struck by a baseball. As it turns out, maple and ash bats alike have a higher impact bending strength when struck on the face grain. Yet the label for an ash bat remains in its traditional location. So why would the label not change for ash bats as well? The answer hinges on the difference in the pore structures. Ash is a ring-porous wood, so rings of pores correspond to the growth rings. Conversely, maple is diffuse-porous—the pores are spread out evenly throughout the wood. These pores compress when ball hits bat. Maple compresses evenly, but ash bats will deteriorate very quickly when struck on the face grain. Manufacturers put the label on the face grain of ash bats to warn players which side would deteriorate fastest with use. This is why players are taught to hit with the label either directly up or down—to hit, that is, parallel with the grain— even though that means the face they hit with is the weaker one. Diffuse-porous bats made of wood like maple don’t undergo such deterioration. In fact, grain spreading in ash leads many players to discard used ash bats, but maple bats tend to be used until they break. Bats made of maple will typically last longer, and their lack of degradation allows players to take into the game the same one they used in batting practice that afternoon. Each player wants to succeed at the plate, and comfort with his particular tool of the trade can go a long way toward helping him achieve that aim. However, players who prefer ash may soon need to consider other bats, as the supply may be in jeopardy. For decades, Pennsylvania forests have provided ash wood for baseball bats. In 2002, the emerald ash borer, a species of beetle dangerous to ash trees and once foreign to America, was discovered in Michigan. By 2007 it had reached Pennsylvania. If it reaches certain parts of the state, the supply of ash bats could be severely diminished. While the manufacturers of bats are aware of the beetle and are taking what precautions they can, it still threatens. While birch and bamboo bats are currently being manufactured, maple may need to become the primary wood for MLB. Provided ash does need to bow out of the spotlight it has enjoyed for the past hundred years, maple would be a viable alternative. Many players already enjoy the bat. And since safety concerns already keep some players from switching over, should the MLB committee’s recommendations prove to alleviate these concerns, maple may achieve the dominance enjoyed by ash until just a decade ago. It seems the future of maple bats hinges on the safety of their use. Or we can just wait for someone to hit 80 home runs with a birch bat, which would then become all the rage. BEN WALKER, a recent college graduate, is moving with his new wife and electrical-engineering degree from Seattle to Chicago, where he will look for work, a home, and Cubs tickets. Adair, Robert K. The Physics of Baseball. 3d ed., rev. New York: Perennial, 2002. ASAP Sports (www.asapsports.com), 9 December 2008; Baseball History: 19th Century Baseball. 1 June 2009. (www.19cbaseball.com). Ira Flatow, Brian Boltz, Lloyd Smith, Sven-Erik Spichiger. “Batter Up!” Science Friday. NRP, 4 July 2008. Curran, William. Big Sticks: The Batting Revolution of the Twenties. New York: William Morrow, 1990. DiTullio, Jeff C. “Reduced aerodynamic drag baseball bat.” U.S. Patent 5284332, 8 February 1994. Hernandez, Roland. WoodBat.org. January 2009. Hibbeler, Russell C. Engineering Mechanics—Statics and Dynamics. 11th ed. Upper Saddle River, N.J.: Prentice Hall, 2006. Hill, Bob. Crack of the Bat: The Louisville Slugger Story. Champaign, Ill.: Sports Publishing, 2000. Kinst, Emile. “Base Ball Bat.” U.S. Patent 0 838 257. 11 December 1906. “Objectives of the Game.” Official Baseball Rules. www.MLB.com / Official Information/Official Rules. Sawicki, G. S., M. Hubbard, and W. J. Stronge. “How to Hit Home Runs: Optimum Baseball Bat Swing Parameters for Maximum Range Trajectories.” American Journal of Physics 71, no. 11 (November 2003): 1152–62. Thompson, Andrea. “The Science Behind Breaking Baseball Bats.” Live Science (livescience.com), 15 July 2008. Williams, Ted. The Science of Hitting. New York: Fireside, 1986. Wong, Stephen, and Susan Einstein. Smithsonian Baseball: Inside the World’s Finest Private Collections. New York: Collins, 2005. 1. Unless otherwise noted, statistics, records, and quotes are from Baseball Almanac—The Official Baseball History Site (www.baseball-almanac.com). 2. It is difficult to unequivocally attribute Groh’s success to his bottle bat. His unique batting stance and steady improvement before and after using the bat indicate that many factors contributed to his success. 3. K. M. Mann, “Baseball bat with a dog leg type handle,” U.S. Patent 3 554 545, 21 January 1971. 4. Daniel A. Russell, “Physics and Acoustics of Baseball and Softball Bats,” http://www.Kettering.edu/~drussell/bats.html. 5. Robert Watt sand Terry Bahill, Keep Your Eye on the Ball: The Science and Folklore of Baseball (New York: W. H. Freeman, 1990). 6. Golf balls have dimples in order to reduce the effect of drag. Drag is the force on an object when it moves through the air. It always resists the direction of motion and affects all aspects of baseball. A ball that crosses the plate at 100 mph left the pitchers hand at about 108 mph! 7. Michael Matza, “Simple Dimple—On Bat—Could Revolutionize American Pastime,” Knight-Ridder Newspapers, 17 April 1994. 8. Esther L. Moe, “A Comparison of Batting Using Bent Handled and Straight Handled Bats,” thesis. Washington State University, 1982. 9. William A. Shroyer, “Baseball Bat, ” U.S. Patent 1 499 128, 24 June 1924. 10. Alan Nathan, The Physics of Baseball (http://webusers.npl.illinois.edu/~a-nathan/pob/). 11. Barry Bonds, “Testimonials.” Sam Bat (www.sambat.com/about-us/testimonials.aspx), January 2002. 12. Victor Wang, “A Closer Look at the OBP/SLG Ratio,” By the Numbers 17, no. 1 (February, 2007): 10–14. 13. U.S. Forest Service, The Encyclopedia of Wood (Grand Rapids, Mich.: Skyhorse, 2007). 14. Being unsure what type of hickory was used in the nineteenth and early twentieth centuries, I list the average for five types of hickory (Mockernut, Pignut, Shagbark, Shellbark, Bitternut) that were prevalent in areas of the eastern United States where wood may have been harvested. The hickory values are not precise, but they are, so to speak, in the ballpark. For instance, the modulus of elasticity (column 2) has a value of 2.06, but the type of hickory actually used could have ranged from 1.7 to 2.26. 15. Also, many MLB players used metal bats in their youth and may be accustomed to thinner handles.